When my giant bag of Lucky Charms marshmallows (and just the marshmallows!) arrived, I thought I was the luckiest girl in the world. But then I discovered that eating a bowl of marshmallows (and just the marshmallows) soaked in milk for breakfast did not make me feel good. I also discovered that Lucky Charms marshmallows do not work in chocolate chip cookies. Nor do they work with chocolate CHOCOLATE cookies. Or blondies, for that matter. 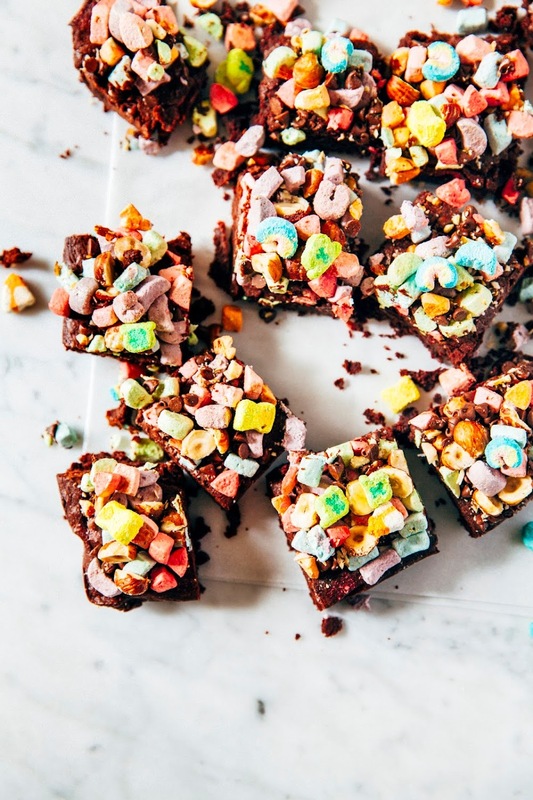 Because it turns out when you add marshmallows to a dough, it just melts with everything else to leave ugly, colorful blotches in your baked goods. Oh, and it also adds even MORE sugar to the mix. And eating all that sugar leaves you feeling about as good as you would feel after eating a bowl of marshmallows and milk for breakfast. In ice cream. On waffle cones. With chocolate. Specifically, deep, dark, and almost bitter chocolate. The kind of chocolate whose richness is enhanced by a dry yet creamy stout beer like Guinness. And that's how these Lucky Charm Guinness Brownies were born. 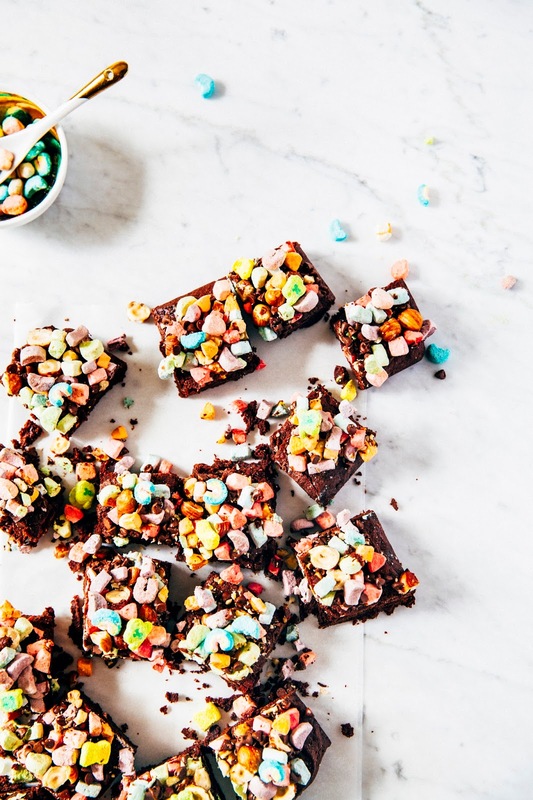 This recipe is a St. Patrick's Day ode to Rocky Road brownies. I've swapped out a traditional brownie base for one that's spiked with Guinness to give it a little bit of a boozy kick and keep things as moist and flavorful as possible. 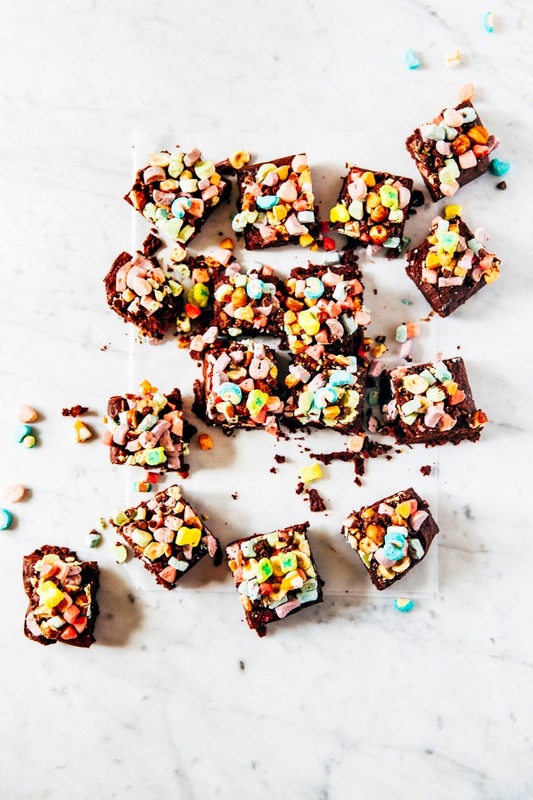 The brownies are then topped with heaping portions of hazelnuts, mini chocolate chips, and of course, Lucky Charms marshmallows. The marshmallows are added during the last stage of the baking process to allow them crisp up beautifully in the oven and give the brownies a gooey, sticky layer and make it feel like you're eating a boozy s'more. There is no need to buy a family sized box of Lucky Charms cereal, dump them all out on to the kitchen counter, and spend an episode or two of House of Cards sorting out the marshmallows from the boring pieces. Amazon sells bags of just the marshmallows for a little bit of a steep price ($10 a bag, yeugh). They won't be the same colors or the same shapes as the original, but they'll do just fine. 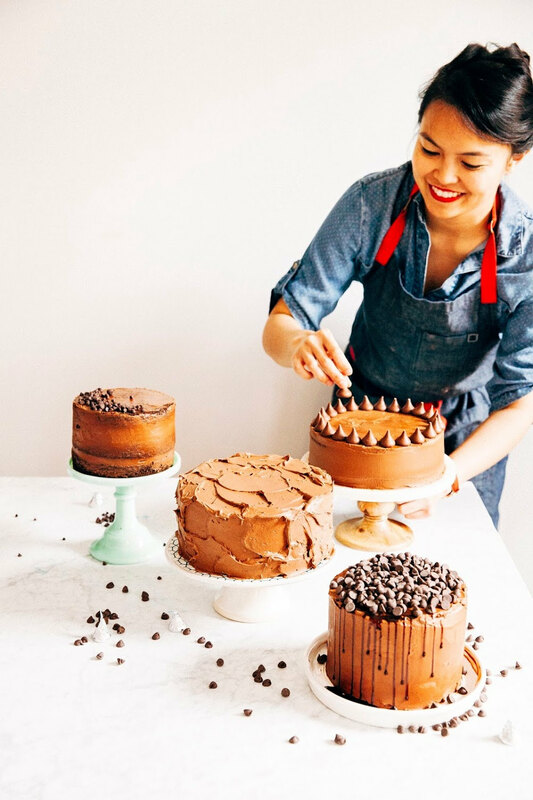 It's important here to follow the ingredients list to a tee and use 100% cacao, unsweetened dark chocolate — that is literally uber dark chocolate with no sugar added to it AT ALL. 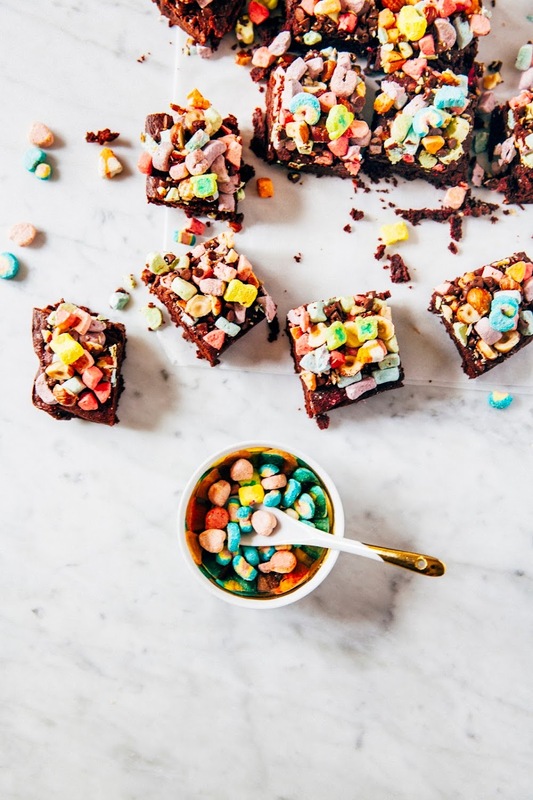 The Lucky Charms marshmallows add so much sweetness to the whole brownie that using regular sweetened chocolate (even if it's 70%-cacao plus) will just be too much! But that might be your jam. Just don't say I didn't warn you. Most brownies have you wait until they're cool completely to slice them (otherwise they get too crumbly/stay too moist and fall apart completely). 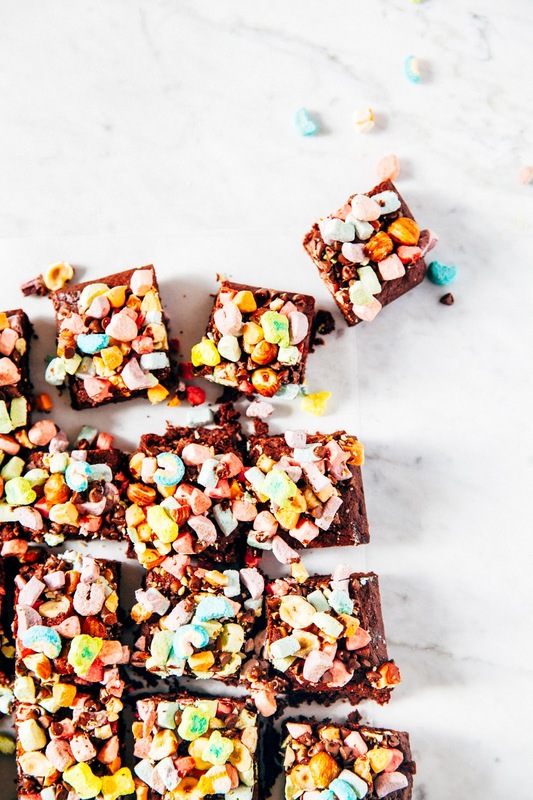 Not with this recipe — this recipe is best when the brownie base is still slightly warm, and the marshmallows are still sticky from being in the oven. Use a serrated knife dipped in warm water to slice the brownies, making sure to wipe the knife off each time you slice. 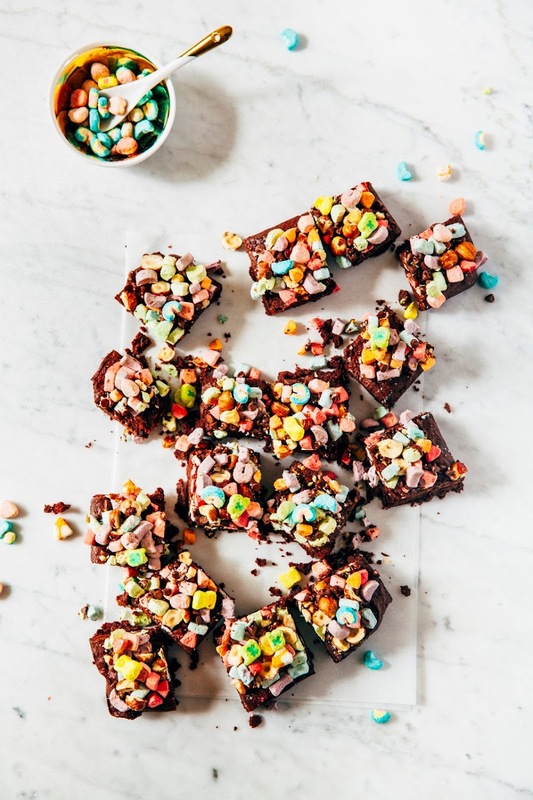 The marshmallows will dry out and fall off the brownies as they cool, so it's best to slice and eat them while they're fresh and warm from the oven. But if you can't eat a whole pan in one sitting (ehem, I can't either, ehem), you can always microwave a slice for a few seconds to get that s'mores effect. Center a rack in the oven and preheat to 350 (F). Spray an 8 x 8-inch baking pan with cooking spray, before lining the bottom with parchment paper and leave an overhang on two sides. Spray the parchment paper with cooking spray and set aside. Bring 1/2 cup Guinness beer to a boil in a small, heavy-bottomed pot over medium heat. Continue boiling until the Guinness is reduced to 1/4 cup, about 5 minutes. Set aside on a wire rack to cool. Combine 12 ounces finely chopped 100% cacao chocolate and 1 cup unsalted butter in a medium, heatproof glass bowl. Make a double boiler by placing the glass bowl on top of a sauce pot full of simmering water, ensuring that the bottom of the glass bowl does not touch the water. Allow the chocolate and butter to melt, using a heatproof rubber spatula to stir occasionally until completely melted and smooth. Remove from heat and set aside on a wire rack to cool for 5 minutes. Transfer 1 1/2 cups granulated sugar to the bowl of a freestanding electric mixer fitted with a whisk attachment. With the mixer on its lowest setting, add 3 large eggs, one at time, only adding the next egg when the previous egg is fully incorporated. Add 1 teaspoon pure vanilla extract, then, with the mixer still on low speed, slowly pour the melted chocolate into the mixture. Once all the melted chocolate has been added, slowly pour in the reduced Guinness beer. Turn off the mixer. 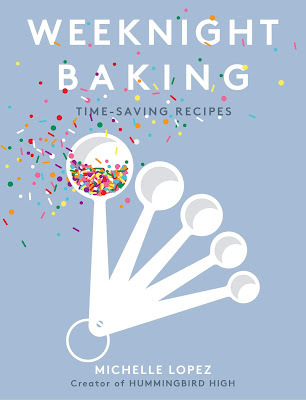 Sprinkle 3/4 cup and 1 teaspoon kosher salt over the mixture and use a rubber spatula to fold the dry ingredients into the batter until just combined — be careful not to overmix! Transfer the batter to the prepared baking pan and bake for 35 minutes, or until a toothpick inserted into the center of the pan comes out with a few moist crumbs attached. 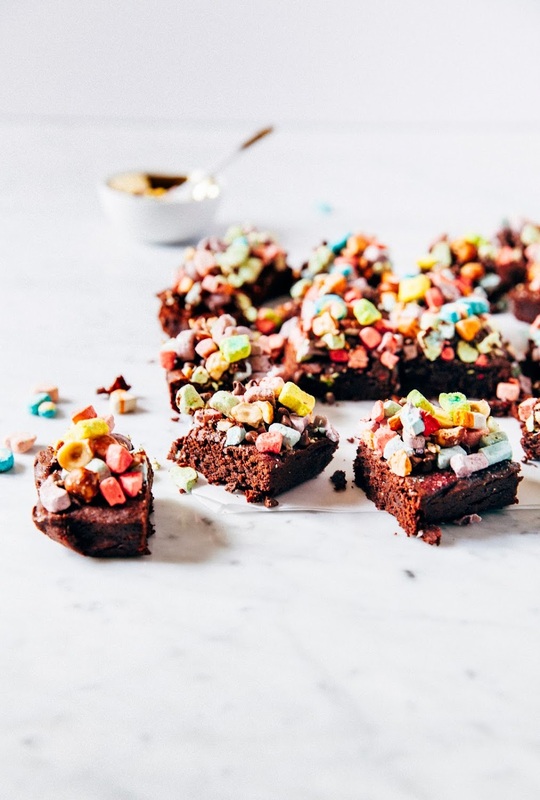 Remove from oven and sprinkle 1 cup Lucky Charms marshmallows, 1/4 cup hazelnuts, and 1/4 cup mini chocolate chips on top of the brownies. Return to the oven and bake until the marshmallows are shiny and puffed, around 5 to 8 minutes. After the marshmallows are shiny and the chocolate chips are a little bit melted, remove from the oven and allow to cool completely on a wire rack. Once the brownies are room temperature, use a serrated knife to slice 16 small squares. Wipe off the knife and/or dip the knife in warm water after each slice to prevent the marshmallows from sticking. Enjoy!